Shareit : Best app for transferring files between mobiles and mobiles to PC. Smartphones are part of our lives and they always help us to make our life easy with Super Smart apps and utilities.Almost a decade back, when bluetooth was a hot feature in the mobile phones that offered inter platform file transfer between mobiles and computers,however the limitation of bluetooth transfer was limited transfer speed. 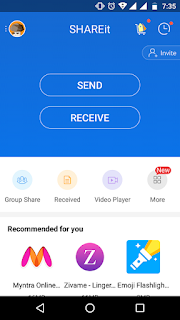 Shareit overcomes limitations of Bluetooth and can help in transferring and receiving files of any size without using Bluetooth or Internet connection. It can help you transfer all types of files with speed as high as 200x bluetooth speed (around 10 MB/s) and the best thing is it runs on all the platforms, whether it is Android based Smartphone, iOS based Apple iPhone and iPads, Windows Phone, also supports Windows and Mac OS and another great feature is compatibility is cross platform that means windows 7 user can receive or send data from/to Android 6 device. 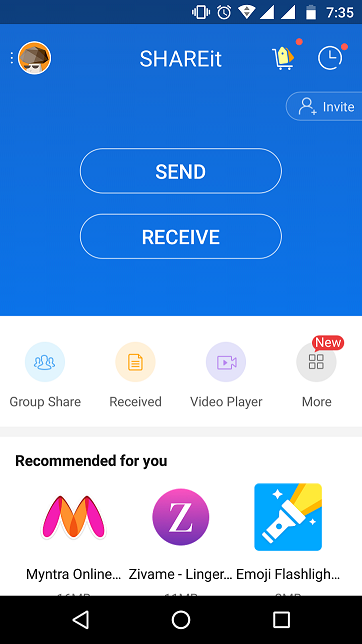 Shareit version must be installed on both device.If the version is too old, please update to latest one. Secondly, WiFi functionality must be there on both device. Talking about the interface, app is pretty simple to use, just launch the app, search your friend and start receive/transfer. 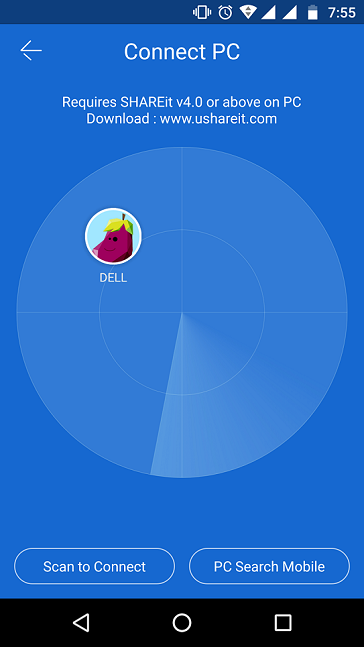 Simply open the app and choose the required option (Send or Receive), it will now start scanning the nearby shareit users and simply connect.You can choose the files you want to send and you can send multiple files as well and that too with multiple users. What are your views about this app,do comment what do you like about this app and what can be improved in this app.